十年前, “海歸”是非常令人羨慕的群體, 是中國企業爭相追捧的人才; 五年前, 部分 “海歸”變成“海待”, 蜂擁的留學潮使他們與本土人才相比, 逐漸喪失頭頂的光環; 而今金融危機, 不少“海歸” 面對海外惡劣的就業環境, 開始選擇回國尋找工作. For those think Simon will talk about sthg bad about Hong Kong/China are quite ignorant. Open up your mind Please!! 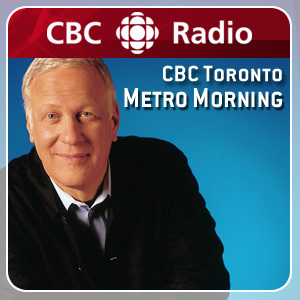 My opinion, CBC radio and Newsworld are the best (1st rate) news network in North American. They always show things about China (both good and bad). This is what we want to see. Not just the good stuff. Plus I am confident with Simon that he will speak out the truth. By the way, the topic is a good one. Sir Donald’s dynasty begins today. Simon Li was just being mentioned at Mr. Siu’s program on MyRadio. It would be great if Simon opens mike there! There’s an ad (declaration) on Ming Pao today, staying that Mr. Nobody is no longer with wow tv. 月前有網友指出 Nobody 已經離開 WOW-TV, 今日係官式聲明. Andy Barrie spoke with Simon Li. 唉… 經常被人二五, 封殺都幾慘, 聽講雞瘟請人, 諗諗佢!